And They Call It Piggy Love! Move over ‘Love Actually’, there’s a brand new Christmas romance here at Tilgate! Check out Boris and Matilda’s love story… and get the tissues ready! When their keeper Sandra noticed that Boris was showing an interest in the neighbouring enclosure, she knew it could only mean one thing: Boris was in love. 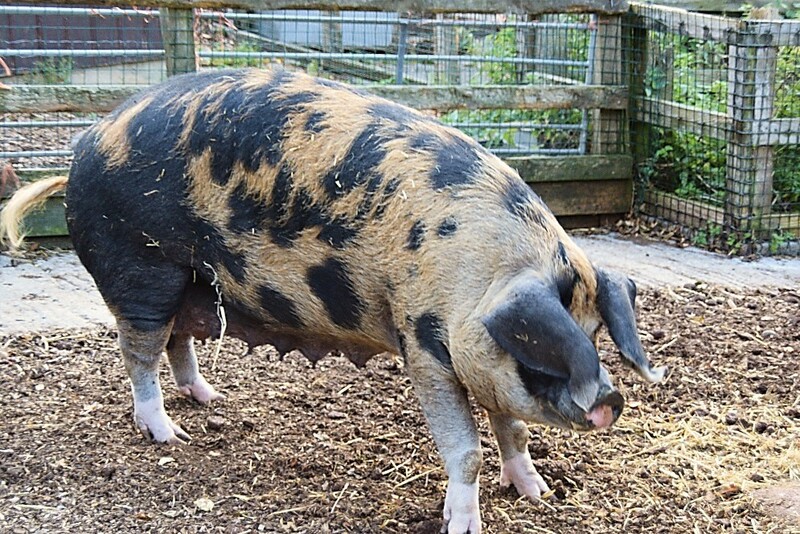 The beautiful Oxford Sandy and Black sow – a female pig – named Matilda had caught his eye. Boris is known for being a fairly grumpy animal, a sharp contrast to Matilda’s sweet and friendly personality. Opposites attract, as they say! The two were put together and Boris began to pile up hay and food and present these piles as gifts to the object of his affection. He has never done this before and Matilda clearly took notice. After he’d tidied himself up a bit, with a good old scratch, he approached her. ‘He scrubs up well!’ She must have thought. They’ve barely left each other’s sides since! It’s said that ‘love came down at Christmas’, and that’s certainly true here at Tilgate!